The hotel involved in the package is Rooms on the Beach in Ocho Rios. The package is for flight + 7 nights hotel, with breakfast included (not all meals and drinks). Still a pretty crazy price. Halifax to Jamaica - $199 roundtrip after taxes! 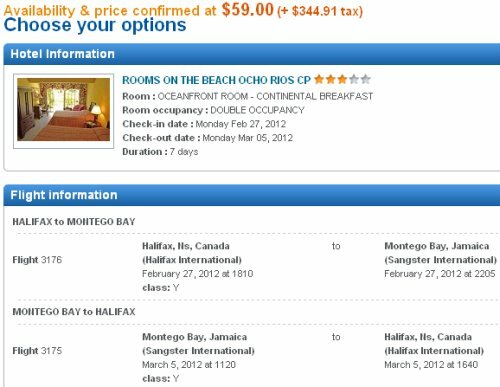 halifax, yhz, caribbean, western caribbean, flight and hotel deals, ocho rios, jamaica and thomas cook.